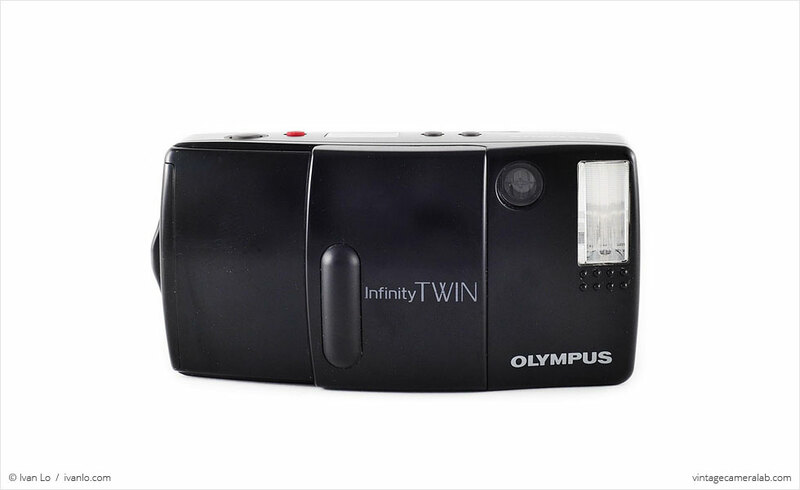 The Olympus Infinity Twin (also known outside the US as the AF-1 Twin) is unusual among compact point and shoots in that it has two lenses (a wide-angle 35mm f/3.5 and a telephoto 70mm f/6.3) that you can switch between with a touch of a tiny red button. 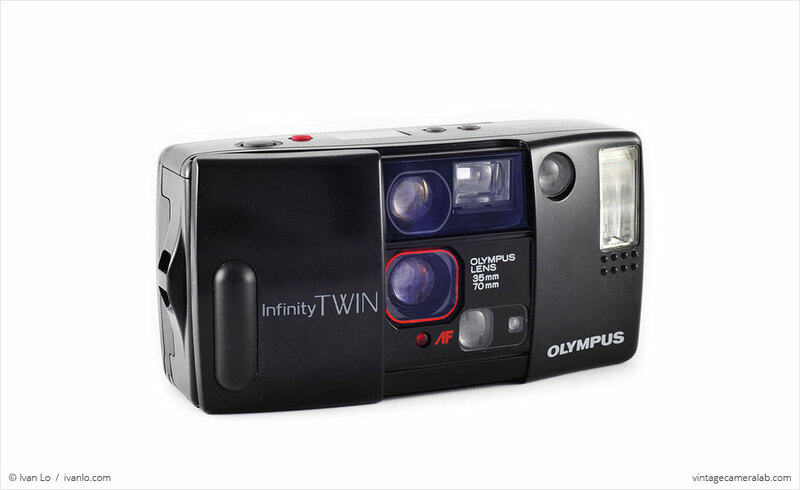 It also inherits the rugged body designed for the world’s first weatherproof automatic 35mm camera: the original Olympus Infinity/AF-1 which makes it even more unique. 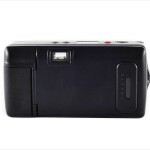 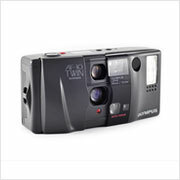 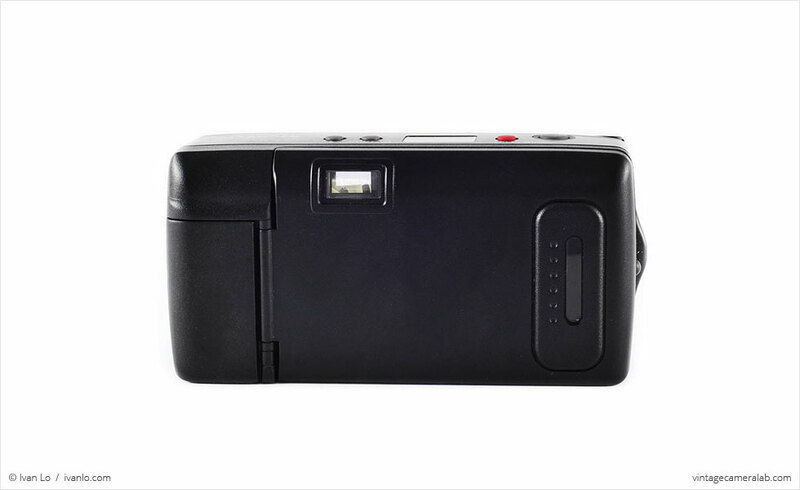 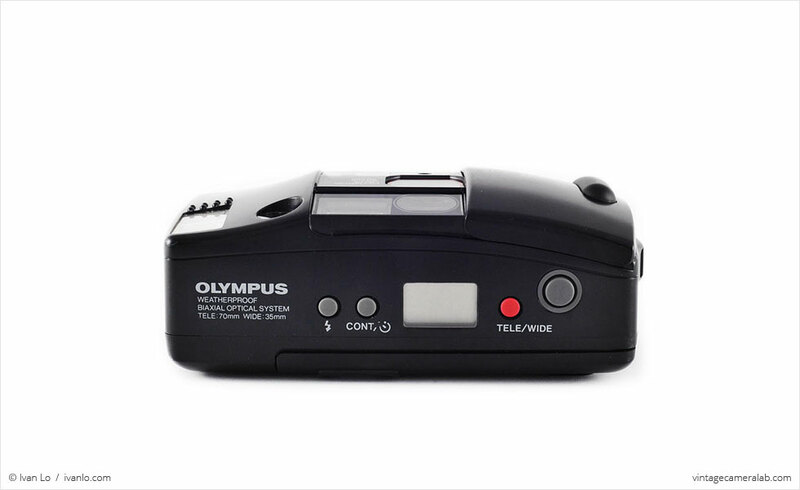 Unfortunately, Olympus issued a recall for these (and other) cameras in 2006 because of a faulty flash circuit that would cause the camera to smoke, overheat, and potentially cause burns to the user. 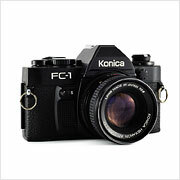 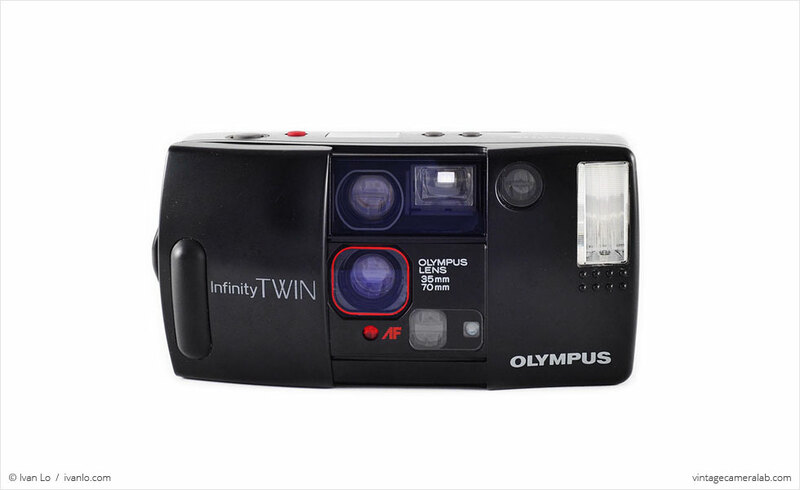 It’s just as well because, annoyingly, the Infinity Twin requires CR123A or DL123A batteries that are probably worth more than the camera itself. 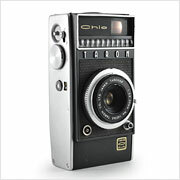 I found this camera at a thrift store by my mother in-law’s house only a few days before I bought its sister camera, the AF-10 Twin at another thrift store about an hour away. 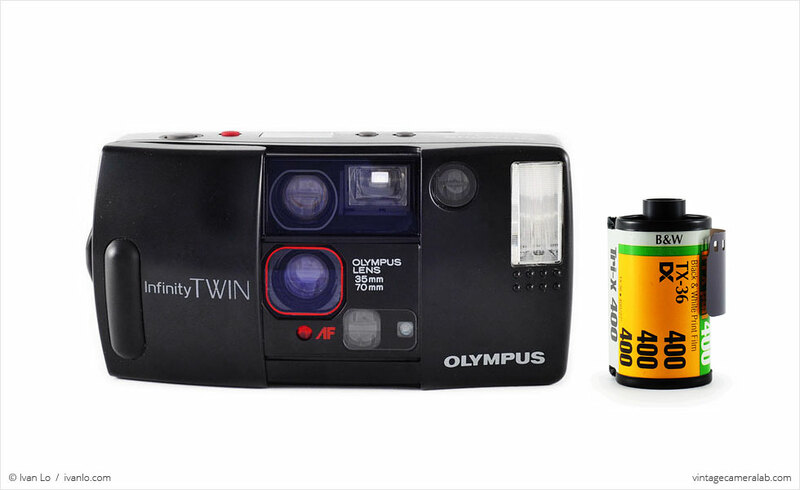 What are the chances of that happening? 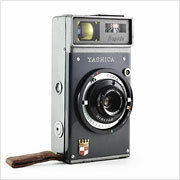 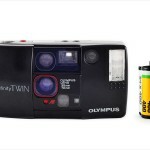 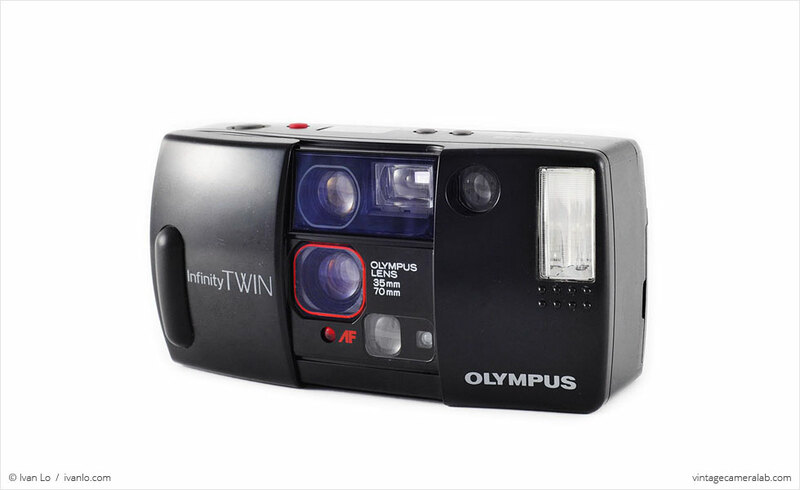 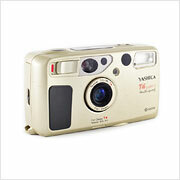 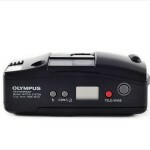 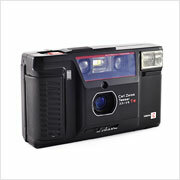 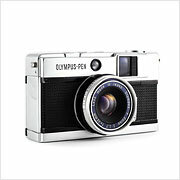 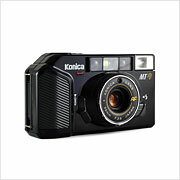 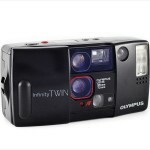 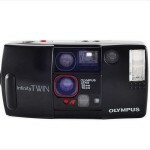 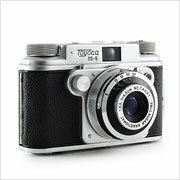 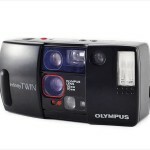 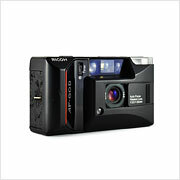 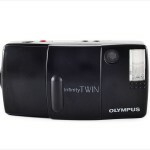 Find your very own Olympus Infinity Twin on eBay.